JUNEAU — Alaska state ferries would stop running on Oct. 1 under sweeping budget cuts proposed by Gov. Mike Dunleavy, the Alaska Senate Finance Committee was told Wednesday morning. 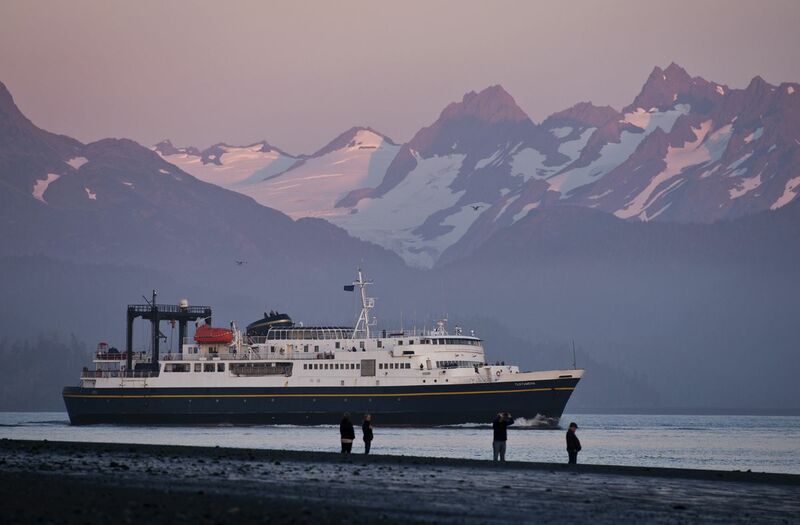 Dunleavy is proposing to cut $97 million from the ferry system’s $140 million budget in the fiscal year that begins July 1. That means the system will not have enough money to operate after Oct. 1, a state budget official said. 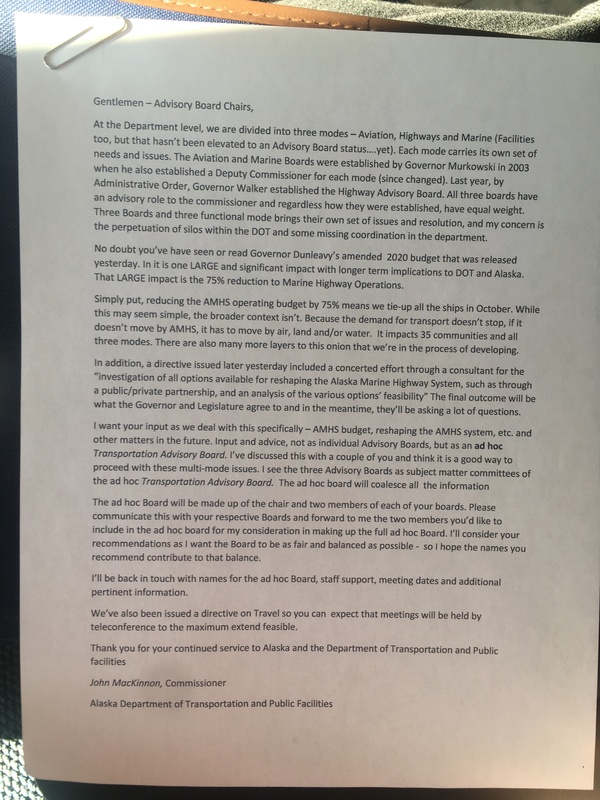 “At this time, the schedule looks at operating through the summer, and through the month of September there would be reduced service, and then there potentially would be no service starting in October,” said Amanda Holland, administrative services director for the Alaska Department of Transportation and Public Facilities. Holland said the ferry system “is continuing to look at options for how they might readjust that sailing schedule,” but an updated plan isn’t expected until Aug. 1. If ferry service ends without a replacement, coastal communities from Kodiak to Ketchikan will be left without surface access to the North American road network. Joshua Bowen, mayor of the Admiralty Island town of Angoon, with a population of 410, was in the Capitol on Wednesday and said the end of ferry service would be disastrous. Angoon also lacks a full-fledged barge landing and does not receive regular commercial shipping service. “With the ferry going away, our one and only form of transportation in or out of town will be on seaplanes, with pontoons,” Bowen said. Is it time for communities like Angoon to panic? No, said Sen. Bert Stedman, R-Sitka and co-chairman of the Senate Finance Committee. “If you panic, there’s nowhere to go, and there’s even less places to go if you don’t have a ferry,” he said. “I wouldn’t say panic, but I think plan with urgency,” said Robert Venables, chairman of the state’s Marine Transportation Advisory Board and one of the recipients of that memo, which was obtained by the Daily News. 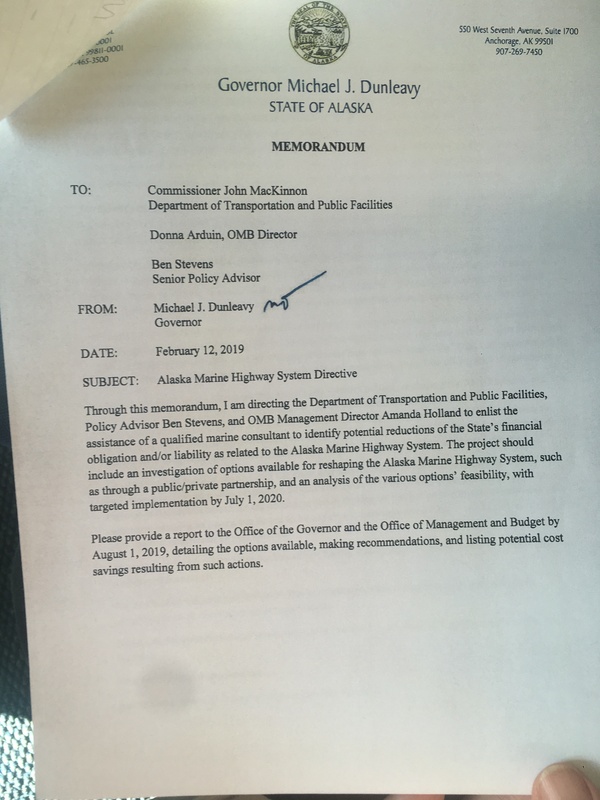 In a separate memo dated Feb. 12, Dunleavy directed MacKinnon to investigate possibilities for the future of the Alaska Marine Highway System, such as privatization or a public-private partnership. A report on those possibilities is due Aug. 1. Venables also serves as executive director of Southeast Conference, an economic development organization for Southeast Alaska. That group has been drafting a plan to create a public corporation for the Alaska Marine Highway System. That proposal envisions a structure akin to the Alaska Railroad. Venables said he has had a pair of meetings with former state Sen. Ben Stevens, who now works as a special adviser to the governor. “If truly everything is on the table for discussion, then we’re ready for that discussion,” Venables said. The ferry budget proposed by Dunleavy is not final. The Alaska Legislature has not yet had its say, and in the Alaska Senate, Stedman will seek to keep the system running through the winter. “We need to have an appropriation added, or funds added to the marine highway budget to ensure they can operate through next June, at least at a reduced level," he said. Speaking Wednesday in committee, Stedman expressed concerns about the idea that private industry can entirely take up the slack if the ferry system stops running. The Inter-Island Ferry Authority is a semi-privatized ferry service between Ketchikan and Prince of Wales Island in Southeast Alaska, but it still receives a state subsidy, Stedman said. “If the state had not stepped in with half a million a year for several years … that transportation system would not exist today,” he said. The governor’s budget proposal for state ferries — and the rest of the Alaska Department of Transportation — will go to a Senate subcommittee for consideration. Stedman is in charge of that subcommittee. Stedman said he doesn’t believe the governor is opposed to the ferry system. It’s merely a victim of the governor’s effort to increase the Permanent Fund dividend without raising taxes or spending from savings, Stedman said. The ferry system receives a significant amount of state support but doesn’t serve as many people as the state’s road network. “He’s a friend of mine, and he does not have bad will toward the coast. This is just one of those issues where we have significant general fund money going into a transportation system that has structural problems,” Stedman said. If the Legislature does increase the ferry system budget, Dunleavy could use his line item veto to restore the cuts he initially proposed. The Legislature could then seek to override the veto, but doing so requires the support of three-quarters of lawmakers. Stedman said it’s too early to talk about a veto override, but it’s not too early to begin negotiating with the governor to see what he will accept. “We need to work through the political process and negotiate with him,” Stedman said.